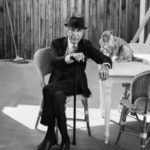 Leonard Cohen was a Canadian poet, writer, singer and songwriter. The first collection of poetry was published in 1956, the first novel – in 1963. 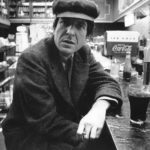 In the early years Cohen’s songs were based on folk music, in the 1970s they were closer to pop music and cabaret. 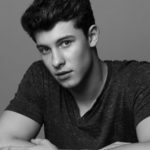 His songs often have heavy emotions and complex texts. 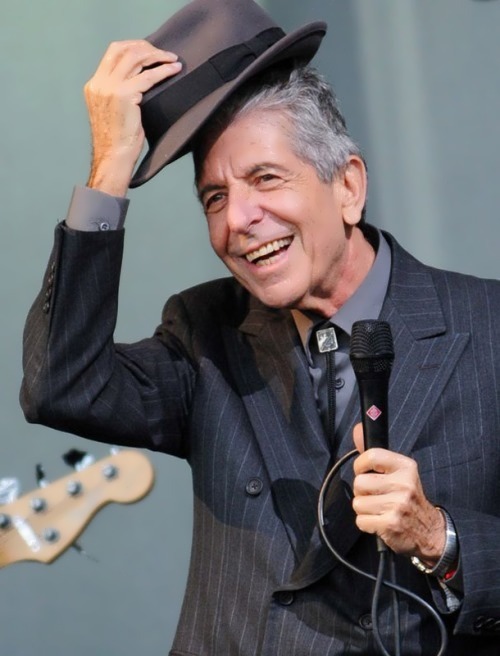 Cohen sang on various topics: religion, solitude, sexuality, complex relationship between people. 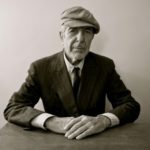 Cohen’s songs poetry had a great influence on many songwriters and musicians. 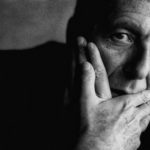 Leonard Cohen was inducted into The Canadian Music Hall of Fame. On April 19, 1991 he became an Officer of the Order of Canada and on October 10, 2002 – the Companion of the Order of Canada, which is the highest honor for a citizen of Canada. 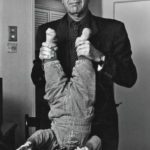 Leonard Norman Cohen was born on September 21, 1934 in Montreal, Canada. His father, Nathan Cohen (1891-1943), who had Polish roots, was the owner of the well-known clothing store, and died when Leonard was nine years old. His mother, Mary Klonitskaya (1905-1978), was an immigrant from Lithuania and daughter of the rabbi of Kovno Solomon (Shloyme Zalman) Klonitsky, Talmudist, and author of books on Hebrew grammar. Paternal grandfather, Lyon Cohen (1868-1937), was the first president of the Canadian Jewish Congress, co-founder of the first English-language Jewish newspaper in Canada, Canadian Jewish Times. 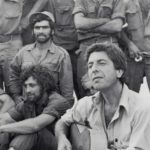 Leonard went to a Jewish school, where he studied with poet Irving Peter Layton. 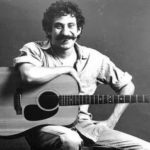 As a teenager, Cohen learned to play guitar and formed a folk group called the Buckskin Boys. In 1951, Cohen entered the McGill University, where he became president of the Canadian University Society for Intercollegiate Debate. At that time, poets such as William Yeats, Walt Whitman and Henry Miller had the greatest influence on him. His first collection of poetry, Let Us Compare Mythologies, was released in 1956, the second – The Spice-Box of Earth – was released in 1961 and brought him some fame in literary circles. 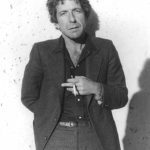 After graduating from university, Cohen studied for one semester in law school at McGill and one year at Columbia University. 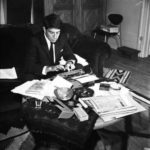 In the early 1960s, Cohen led almost reclusive life. Having moved to the Greek island of Hydra, he published the novels The Favourite Game and Beautiful Losers. 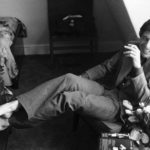 In 1967, Cohen moved to the United States, where he began his career as a folk musician. He was a prominent figure in the company of the American artist Andy Warhol. 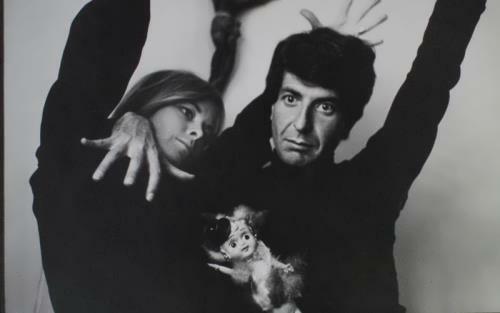 Warhol himself later claimed that one of his proteges, singer Nico, greatly influenced Cohen’s musical style. 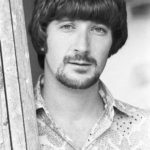 One of the first and most famous songs Suzanne became a hit performed by Judy Collins. 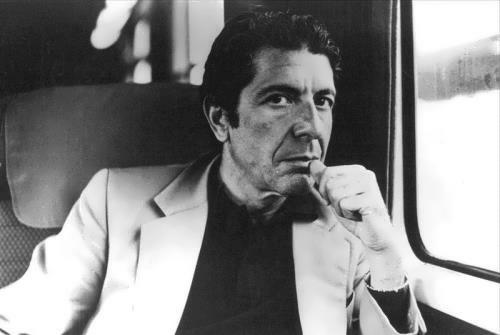 In 1967, he met producer John Hammond and got the opportunity to record his first album, Songs of Leonard Cohen. 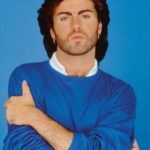 Later he released Songs from a Room, Songs of Love and Hate, Live songs and New skin for the old ceremony. In 1971, Cohen’s music was used in Robert Altman’s film McCabe and Mrs. Miller. Many people mistakenly believed that the songs were written specially for the film. 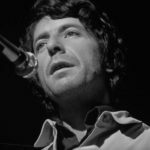 In the late 1960s – early 1970s, Cohen made a tour in the United States, Canada and Europe. 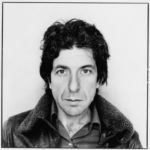 In 1977, Cohen released an album Death of a Ladies’ Man, and a year later a collection of poetry with a very similar title Death of a Lady’s Man. The album was recorded with producer Phil Spector. In 1979, the album with the unpretentious title Recent Songs was recorded. 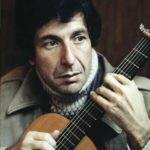 After the album Cohen paused for five years, and appeared again with the film Hotel as a director, writer and musician (the film won the Golden Rose at the International TV Festival in Montreux), Book of Mercy and the album Various Positions (1985). 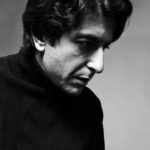 In 1984, the world heard one of the biggest hits of Cohen – song Hallelujah from the album Various Positions. In 1986, Cohen played in one of the episodes of television series Miami Vice. 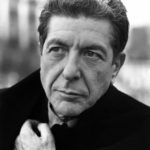 In 1988, with the release of the album I’m Your Man, Cohen’s style changed radically. 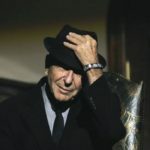 This album was the most successful since Songs of Leonard Cohen, and three songs – Title, First We Take Manhattan and Everybody Knows – are among his most popular songs. The song Everybody Knows sounded in the film Pump Up the Volume and people became interested in his creativity. The album The Future was a success and three songs Waiting for the Miracle, Anthem and the title song were in the Oliver Stone’s infamous film of Natural Born Killers. Cohen’s song Democracy was used in the election campaign of the Democratic Party of the USA, and was played at the inauguration of Bill Clinton. 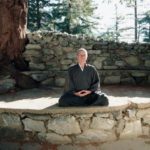 Five years (from 1994 to 1999) Cohen spent in seclusion in Mount Baldy Zen Center near Los Angeles. 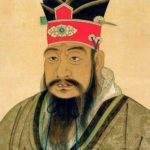 There he took name Jikhan, which means “silence”, and became a Zen monk. Cohen returned to music only in 2001 with the album Ten New Songs, co-written with Sharon Robinson. It is perhaps his most melancholic and quiet album. Dear Heather – 2004 album – was the result of collaboration with jazz musician and singer Anjani Thomas, Sharon Robinson also participated in the writing of several compositions. 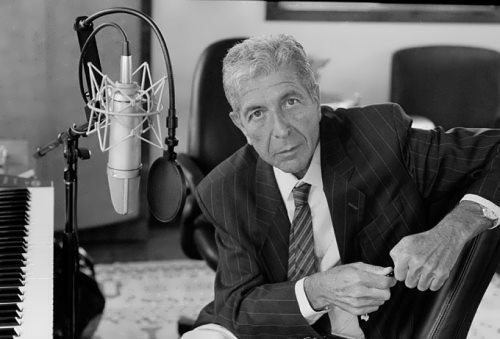 Blue Alert – an album of songs written by Cohen and Thomas was released in 2006. 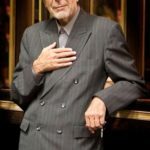 In 2008, Cohen announced the launch of the long-awaited concert tour. It started in Fredericton, continued in various cities in Europe and Canada, including performances at The Big Chill and the Jazz Festival in Montreal. 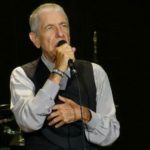 On October 7, 2010 a unique concert of Leonard Cohen took place in Russia. 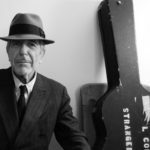 Soon Cohen was inducted into the American Rock and Roll Hall of Fame. In 2011, he was awarded the Prince of Asturias Award. 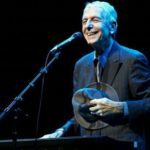 Leonard Norman Cohen died on November 10, 2016 in Los Angeles, USA, at the age of 82. – Russian-born singer Anna Marly (Smirnova) wrote music in London in 1942, during World War II, which Cohen used in his song Guerrillas. 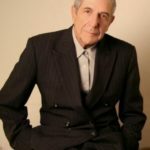 – Cohen’s song Hallelujah was performed by many artists including American musician Jeff Buckley, the Swedish progressive metal band Pain of Salvation, an American rock band Bon Jovi, Bono, John Cale and French singer Vanessa Paradis. The song can be heard in the film Lord of War, Shrek, Watchmen, Barfuss, Teachers and the series Criminal Minds, Scrubs, ER, House, M. D. K.D. Lang performed this song at the opening of the 2010 Olympics in Vancouver. 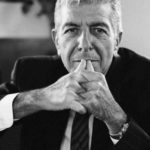 – Leonard Cohen is mentioned in the song Pennyroyal Tea by Nirvana. 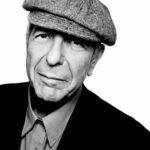 – The Sisters of Mercy, British band, was named in honor of one of Cohen’s songs. – The composition Nevermind sounds in the opening intro to the second season of the series True Detective. 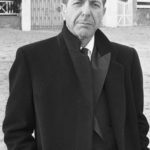 – Adam Cohen, Leonard’s son, is also a singer and songwriter. – Viktor Pelevin often uses lines from Leonard’s songs in his books.